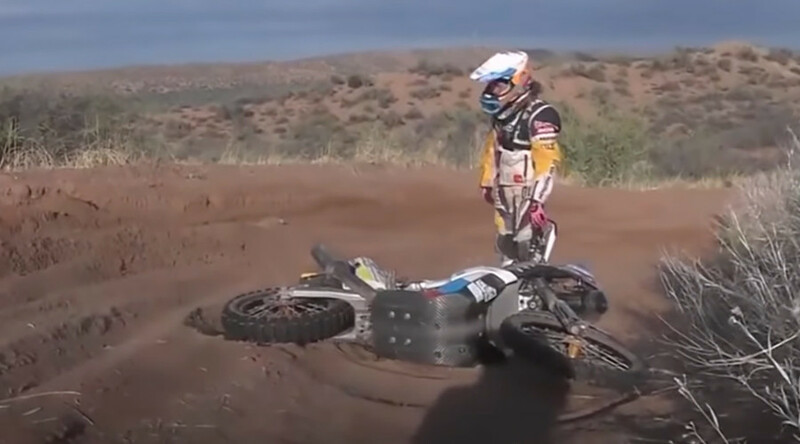 French rider Gregory Morat was the only one who came to the rescue of Russia’s Anastasia Nifontova when her motorcycle toppled over in the middle of high plains and dunes during the Dakar 2017 rally. The stunning moment has been caught on a video that emerged online. A cameraman captured Anastasia Nifontova as she repeatedly tried to recover her motorcycle, which fell down in the sands. 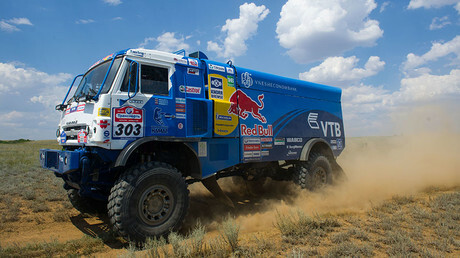 Russia’s Nifontova emotionally asked the cameraman for help, but he refused as the rally regulations forbid such actions. As other riders passed, she broke down in tears trying to attract someone’s attention. Moments later, Frenchman Gregory Morat stopped to help the Russian competitor so that she would resume the race. He stopped his vehicle, raised her bike, tapped her on the shoulder and wished her good luck. “It was one of the last stages. I was extremely tired – almost out of strength,” Nifontova told RT when asked about her fall. She added that her bike went down as she was going uphill on a “very difficult sandy part” of the stage. Nifontova said that she has no hard feelings toward the cameraman, who was “doing his job,” and the other participants for not helping her. The incident happened in an unfortunate spot and many riders didn’t stop because “it’s difficult to start your bike uphill as you have to get all the way down,” she said. “Come on. Let’s do this. Be strong. Go,” Nifontova recalled the Frenchman saying after lifting her bike. She placed second after safely navigating the tenth stage, a very complicated race through Argentina. "Very many participants had to be out of the race, including due to bad physical conditions," Nifontova who is the first Russian rider in the Dakar race, told TASS. “I have a certain feeling of pride I could endure and come to the finish, and even be the second among women," she added. The Russian racer took the overall 75th position among motorcycle racers, TASS said. The 38th edition of Dakar, one of the world's toughest endurance challenges, began in Asuncion, Paraguay and ran through Bolivia and Argentina.